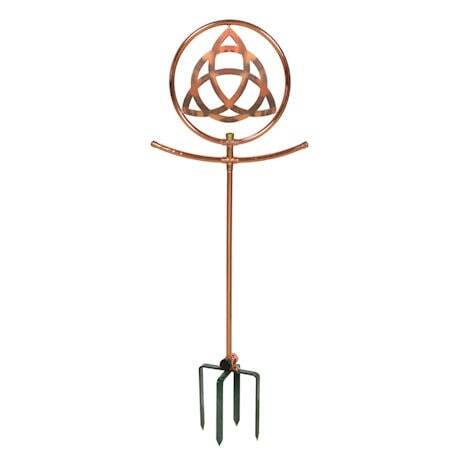 Lovely and functional, this copper garden sprinkler is a worthy centerpiece for any lawn or garden, even when not in use. 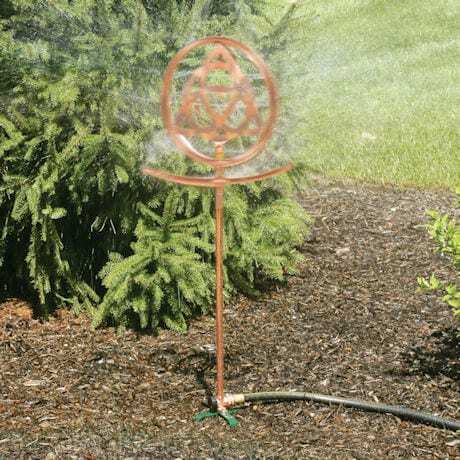 With basic hose connected, 12" ring surrounds a traditional Celtic knot, delivering water up to 40 feet in a mesmerizing display as it spins. Two 8" arms spin below for complete watering coverage. 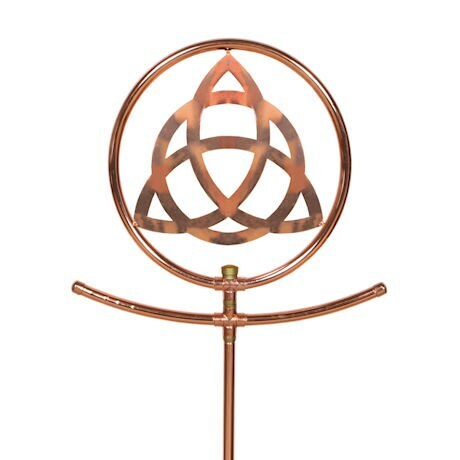 Copper finish will weather to perfection over time, while brass fittings assure years of use. Secures to ground by four 7" long spikes (included). Minimal assembly.